A rotational training device that works your entire body. Perform movements and other rotational exercises simply by inserting any Olympic-size bar (not included) into the pivoting sleeve. Portable for use in or out of the weight room. 11 gauge steel, built to last. 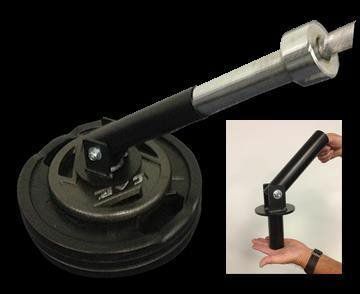 Footprint: Barbell tube is 10″ long (top) Lower tube for weights is 5″.